GMBC have gone through the lap counting sheets and have been able to provide additional results for the Mugdock round Senior, Veteran and U12 categories. These can be found here. Results for other categories are unchanged. Please also see this statementon the situation from the Scottish Cyclocross Association. never mind the top 30... these guys pass us that many times we are bloody sick of the sight of them. no, what the punters are really after are the placings of those straight-handlebarred chaps with cagoules and snacks and no racing licence. so lets get those names posted up (preferably with no laps/times) and let the f-moodies, hardies and the like see what will happen to them if they put on 3 stone and shop for bikes at halfords. cheers scott mckendrick. Full results would be nice. Yes, 130 people took part, only 51 have results. So 79 have no idea how they're placed. Multiply 79 by £8.00 and you get a cool £632 quid extracted from riders who have got nothing back. I've asked GMBC for an update. Will post results as soon as we get them (or let you know eta). And when you do get around to showing the final standings of the 1200 race can we see the number of laps too? We'll publish what we get in from race organisers. The website was a bit limited for space due to the template used, so we've had to drop lap counts from a couple so far. Results will be displayed as PDFs, once I have our hosting space sorted. Thanks for keeping us updated Marty. I appreciate everyone is a volunteer giving up their free time for nothing and there was an extremely large field, but this is the 3rd year in a row that there has been no full results at Mugdock. There was a similar number at Plean, perhaps GMBC could get a few pointers from them or the Moulin. obviously the results will not be posted... better to advise this at the outset to avoid any ill feeling on what was an enjoyable day out. certainly does nothing to knock the elitist notion of cycle racing. 130 or so riders turned up, paid their cash and contributed to the race itself. indeed there has been many favourable comments as to the increased numbers of riders. as these are notably mid to rear pack it is short sighted not to cater to a simple request of full result listings. i organise races myself and post the results the same night for this very reason. Very true. It seems that the organisers only think that the top 20-30 finishers are worth bothering about but they were happy enough to take money from all the 100+ entrants. The lap counters must have been counting everybody, they wouldn't know who was top 20 when the race was going on. If GMBC can't be bothered to post the full results then couldn't they just pass the sheets on to someone who can? 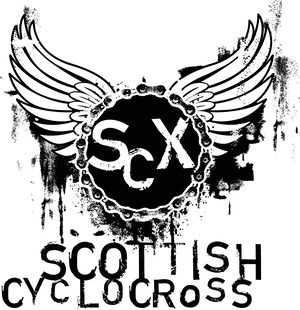 Statement from the SCX Committee - http://www.scottishcyclocross.org.uk/2009/11/mugdock-results.html. If they dont have the facilities to count all the riders then dont let 130+ people enter. Or they could let us know before hand they dont care about anyone who isnt in the running for a top 20 spot and be done with this pretense. It's shameful that there is still no results and still no adequate explanation from the race organisers why. If they can figure out the top 31 are they can surely figure out everyones position?? See update above. Further results arrived on 23rd, but I hadn't had a chance to pull them all together until tonight. Davie Graham has offered to share his accounts after the Mull rounds to show people the costs involved. I'll get an article written on this as soon as I can afterwards. It would be good to draw a line under this issue. Please email me directly if you have any further comments - naegears@googlemail.com. Thanks for getting the full results. Even though I'm miles away from a top 20 place it's still useful (if a bit depressing) to see how far away I am.